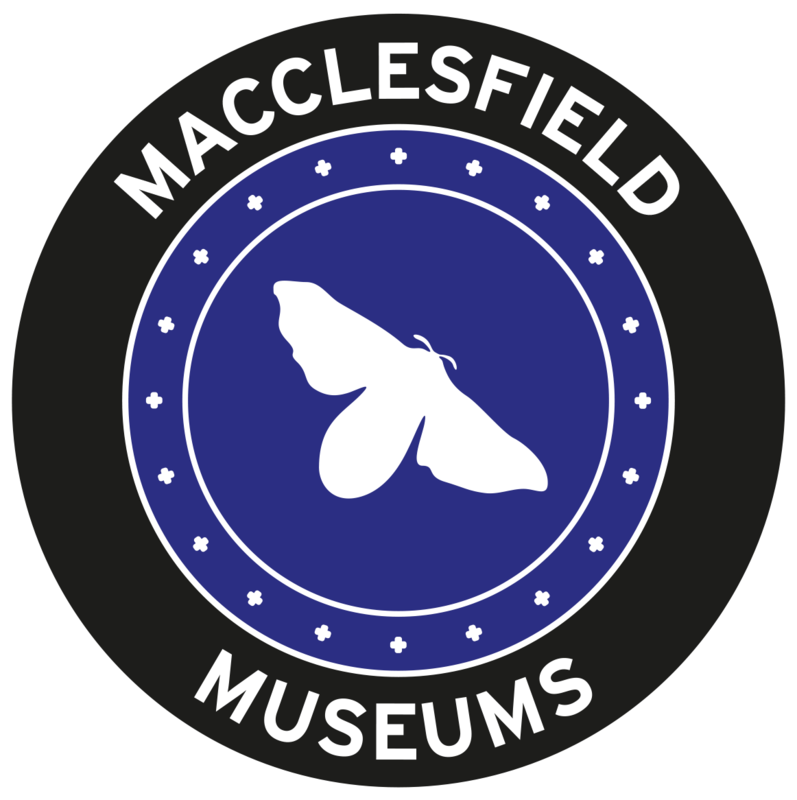 As part of our Esmée Fairbairn Foundation-funded Silk & the Jacquard Legacy project, our Project Officer Kathryn Warburton and team of wonderful volunteers have created Macclesfield Museums first online exhibition. Over the past few months our curatorial team have been rediscovering the printing block collection. This exhibition will give you a taste of what we have found. This exhibition has been curated and written by our fantastic team of volunteers. It showcases items from the block printing collection found within our stores. Our aim is to make our collections accessible to a wider audience, using different mediums such as this digital exhibition. “Volunteering for this project has been a rewarding experience. New skills learned; New facts discovered, all of which connect and inform my collections and guiding work here at the museum”. “I am enjoying learning about textiles and Macclesfield’s textile history. Volunteering offers a great insight into the curatorial practices of the museum”. “Being involved in this project has been great fun and I’m really happy that we get to share it with you all, whether you live in Macclesfield or are interested in the history of printing blocks, you can enjoy the treasures we have re-discovered”. “I’ve volunteered at the Silk Museum since 2014 initially in the Library. I heard about the pattern books project and was attracted to the research, recording and conservation of the archive of pattern books, printing blocks and other artifacts, ranging over two centuries”. “Since retiring from building power stations I have been involved with the museums and am having a fantastic retirement, learning about the collections and getting to know some wonderful people. Two small pictures done in 1891 by Marianne Brocklehurst give the only images existing of the raising of mummies from the cache of mummies the Egyptians call “Bab el-Gasus”, the gateway to the Gods. We are now starting to look at the work of students in silk design, which was given to the museum by the old School of Art when they left the old building the Silk Museum is now in”. Three items depicting ducks in flight showing several stages in the process from drawing board to printed textile. All are from the Langley Print Works. Metal plate made by a block cutter at Langley Works between 1920 and 1940. This was a trial design and never used. Page from a ledger of printed paper designs. This gives details such as time taken to carve a woodblock, and number of separately applied colours used in the design. This block took 75 hours to carve and required five 10 x 10 inch blocks, one for each colour. This design is dated 1951. The third is the same design, worked up into a slightly larger sample. Here it is taken from a pattern book which would have been offered to potential customers. Why do you think the design for the metal plate was not deemed worthy of production? Perhaps the very fine detail of the feathers was too busy when printed? Or maybe the hours required in the production of so fine a plate was not cost effective? A hand-block made by Macclesfield firm BWA (Brocklehurst Whiston Amalgamated). We don’t know who commissioned this design of the North African coastline with propaganda slogans. The slogans “Go! To! It!” and “If You Must Talk, Talk Victory”, on this block also appear on Jacqmar’s famous “London Wall” scarf. BWA printed several Second World War propaganda scarves for Jacqmar. The name Jacqmar is a combination of the names Joseph ‘Jack‘ Lyons and his wife Mary, who together in 1932, established the business in London. A French sounding name was preferred for fashion businesses producing high quality, expensive goods. Jacqmar’s chief designer Arnold Lever created the propaganda textile designs during the Second World War and even continued designing for the company throughout his RAF tour. Arnold Lever’s designs are bold, colourful and humorous. At The Silk Museum we have been looking at Printing Blocks used in the design of printed silk. During this exercise we uncovered 15 blocks which were allegedly found on the site demolished to build Tesco on Hibel Road. These are blocks used by a printing works not a mill, but one is associated with Robinson Brown that was a Silk Warehouse in Macclesfield and we assume that is why they were given to the museum. There are some interesting designs including logos of The Ancient Order of Foresters and The Salvation Army. Also a shield showing a ‘lion holding a sheaf of corn’ used before the Coat of Arms was granted to Macclesfield on 20 July 1960. Others included a footballer, cricket bats and a wedding cake. Do you know anything about where these blocks could have been made and used? Should these printing blocks be kept by The Silk Museum? The Royal Silk Warehouse belonging to Robinson Brown was built in 1903 as a silk display warehouse. It was the only retail warehouse known to have been built specifically for the sale of manufactured silk goods which could also be made up on the premises. According to local tradition it was the most prestigious place to buy material for wedding dresses etc. which would then be made up in-house. Robinson Brown was also the first silk mail order firm in the country. Its location so close to the railway station would have facilitated both the mail order business and the transportation of its personal customers. The building is now the Travelodge. In our collection we have discovered a mourning jacket made by Robinson Brown c.1905. This is a woollen jacket with crepe trimmings, bearing the makers mark of Robinson Brown. There are a lot of objects relating to important historical events in our collection at the Silk Museum, including items that have been designed for Queen Elizabeth II Silver Jubilee in 1977. One example is a hand printing block where the main feature is the Royal Coat of Arms designed circa 1970 and can be seen in the image. The second piece is a silk scarf designed by Oliver Messel for Queen Elizabeth II silver jubilee. The scarf was originally designed for Queen Elizabeth II coronation in 1953 but was reproduced in 1977 for the Silver Jubilee. Oliver Messel is one of the most renowned theatre designers of the mid-20th Century and some of his most prominent productions included The Sleeping Beauty in 1946. In Indonesia cotton cloth was cut and sewn into the garment, then boiled to remove any size or grease and a mordant of oil and lye added. Cloth was then sized with dilute rice or casava paste and pounded with a wooden mallet to make it smooth and supple. Designer (always a woman) drew the main lines of design with charcoal. Then wax was heated and applied to the cloth using a ‘tjanting’ or Batik tools like these; whilst larger areas of wax were brushed on. Cloth had to be waxed on both sides, a skilful process. Cloth was now immersed in a bath of dye, absorbing the colour on unprotected surfaces. After drying, wax was peeled off with a knife and the cloth rewaxed for the next colour. When completed, cloth was boiled to remove all remaining wax and then glazed by rubbing and polishing with a shell. Traditional patterns consisted of white cloth dyed with designs in dark blue, rich brown and bluish black. A sarong, about 2m long would take about a month to complete, but the cloth emerged with rich colours and patterns (completely reversible) and was smooth and supple to handle. These two printing blocks were bought in an Indian market by Sir Francis Graham Smith, a former Trustee of the Museums, some forty years ago. He subsequently donated them to the Museum. The function of the printing blocks is not known for certain. They measure 120x48mm and 140x60mm respectively and are made of wood, one darker and seemingly harder than the other. There is no indication on them of origin, maker or date. Their small size would seem to indicate that they are for printing borders. The larger is an intricate, tight design of stylised florals; the smaller a much simpler, spaced motif of leaves and florals. A search of the Museum’s Forbes-Watson collection of Indian fabric samples has not yielded any exact matches or similar designs. However the small flower design has been repeated in various textiles, such as this one, which was used to create petticoats. B.W.A, founded 1745 in Macclesfield, is an example of one of the many companies using hand blocks to print patterns onto textiles. There was a lot involved in this process such as designing and making the blocks, printing onto the fabric and even cleaning the blocks. Each needed a highly skilled professional to ensure that the finished product was flawless. B.W.A really valued their workers as can be seen from this newspaper article dating 4th February 1943, naming 34 employees who had been recognised for long service and given on average a total of 1,838 years of service together. An important part of B.W.A was for the workers to have a social side which was catered for by the B.W.A sports and social club where there was the opportunity to take part in different activities such as Bowling, Cricket, Dancing, Football and even a Gramophone society among many others. Here is an example of one of the B W Sports Club Cricket Section membership cards for the year 1949 that we hold in our collection. Members who were incapable of working due to ‘disorderly practices’ such as fighting, dancing, running or drunkenness were not entitled to any benefits. This image shows the rules of the Sick Club. Thank You for visiting our first digital exhibition. The Museums would also like to thank the incredible volunteers who have researched and written all the content within this exhibition. We’d love to hear your feedback about our Online Exhibition. Is this something that you have enjoyed and would like to see more of in the future? Or is there anything else that you would like to be included or any improvements that we could make?